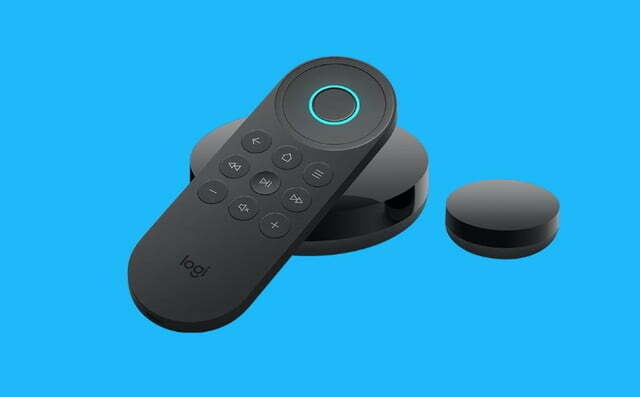 Logitech’s latest universal remote, the Harmony Express, is nothing like its previous models. 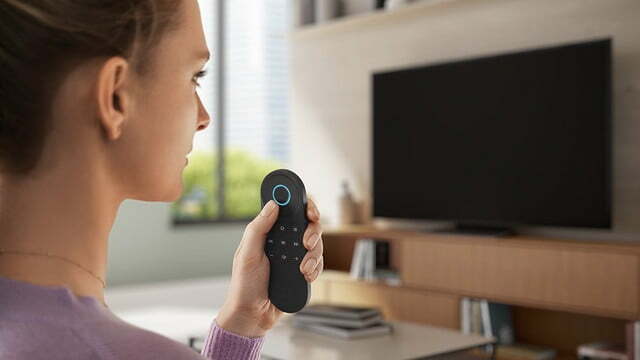 There is no screen, only a handful of buttons, and it’s designed to make your voice the primary way you control your various home theater devices. It’s a “new Harmony experience that’s simple and stress-free enough for everyone in the family to use,” Logitech says. It’s also pricey: At $250, the Harmony Express is now the company’s second-most expensive remote. If it works as promised, the Harmony Express could be something of a holy grail in the universal remote market: A remote that has all of the capabilities of its heavily customizable Harmony siblings, but that can get by with only a few physical buttons. To achieve this lofty goal, Logitech embedded Amazon’s Alexa within the Harmony Express. The oversized, illuminated OK button in the center of the Harmony Express’s circular D-pad is how you summon Alexa, to do your remote bidding. Because voice commands are initiated via a button press, there is no need for the “Alexa” wake word. You can say, “Turn on the TV,” or “Go to Netflix app,” much like Apple TV doesn’t require “Hey Siri,” and Nvidia Shield TV doesn’t need you to say, “Hey Google.” In addition to the voice command microphone, there is also a small speaker so that you can hear Alexa’s responses. The similarity to these other voice-based devices makes the Harmony Express a bit of conundrum for prospective buyers. If you already own a Fire TV, you’ve essentially got the full power of Alexa in a small, simple remote. The question is, does it make sense to spend $250, to give Alexa the enhanced control over other home theater components that the Express provides, especially when you can already grant an Alexa device access to Harmony Hub? 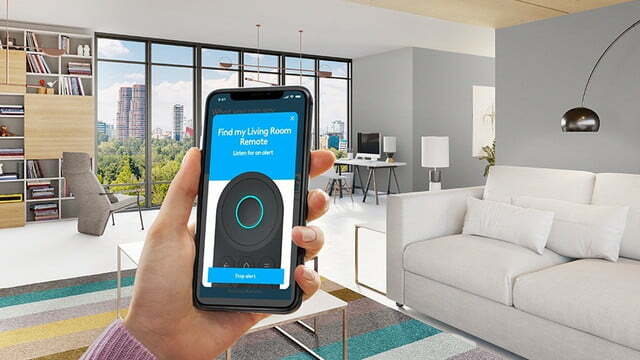 Programming the Harmony Express to respond to these commands is done via the Harmony Express app (iOS/Android), which should be significantly easier than using the PC-based software that Logitech has used in the past with its older programmable remotes. 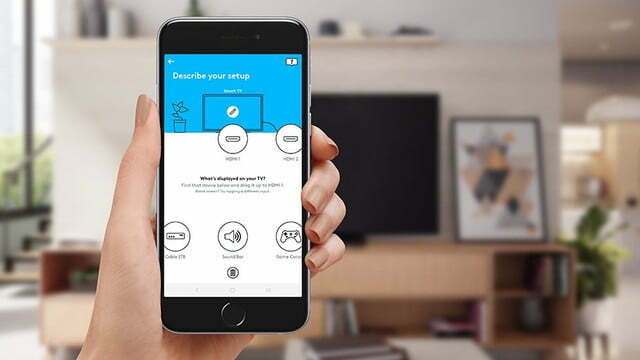 The app can also be used to trigger a remote finder function — the Harmony Express can emit a tone should it become lodged between the couch cushions, which given its small size, seems like an inevitable occurrence. If you have another Alexa device in the home, you can also ask it to locate your Harmony Express. The remote, which is rechargeable via USB, comes with its own hub, and a small IR-blaster in case you’ve got home theater components that are tucked away in a cabinet. This combo covers all of the connectivity bases, with support for Bluetooth, Wi-Fi, and infrared. Unfortunately, the Express’s hub isn’t compatible with Logitech’s previous hub-based remotes like the Harmony Elite, or the Harmony Companion, and similarly, those older hubs won’t work with the Express. If you already have an Alexa device, all of your usual commands will carry over to the Harmony Express, since it requires that you add it via your Amazon account. If you don’t already have one, you will need to create an Amazon Alexa account. The Harmony Express is available via Logitech’s website, as well as Amazon.com, and should show up at other major retailers in the coming weeks. As soon as we get our hands on one, we’ll be back with our full impressions.